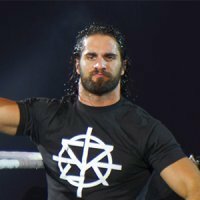 While there is no denying the excellent performances of Seth Rollins, the WWE Intercontinental Champion was aided by several factors that were well beyond his sphere of influence this week. With Braun Strowman out of action and Dean Ambrose relegated to a non-wrestling role, Rollins found himself again wrestling and defeating Dolph Ziggler in what was perhaps the one highlight of one of the most lackluster Monday Night Raw broadcasts in a long time. There is no denying Rollins is a machine for WWE but this week, he was handed an easy victory. So, while Rollins rocketed back up to the top of the FITE rankings this week, whether he can hold onto the crown will be determined by how tough his competition is across the wrestling cosmos. As WWE continues to strategize Rollins' journey to the WWE TLC PPV against Ambrose, we will see where he lands. As the minutes and seconds tick down on their Ring of Honor contracts, the entire membership of the Elite must be looked upon as one group about to embark into the unknown. They will all enter Ring of Honor's Final Battle on FITE with different matches and goals on their mind. 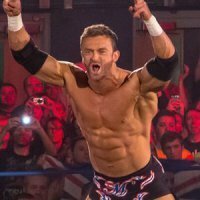 Cody has a chance at exiting ROH as their World Champion if he defeats Jay Lethal. The Bucks enter Ladder War and a chance to tear down the Hammerstein Ballroom yet again. Hangman Page will challenge Jeff Cobb for the ROH World TV Championship. All these matches, on their own, are headline material, but add in the potential for the future – WWE, New Japan, a renewal of ROH contracts, and even the potential of a new organization empowered by this unique clique of incredible personalities. Using one's imagination to think about what could be on the precipice of happening blows the mind. 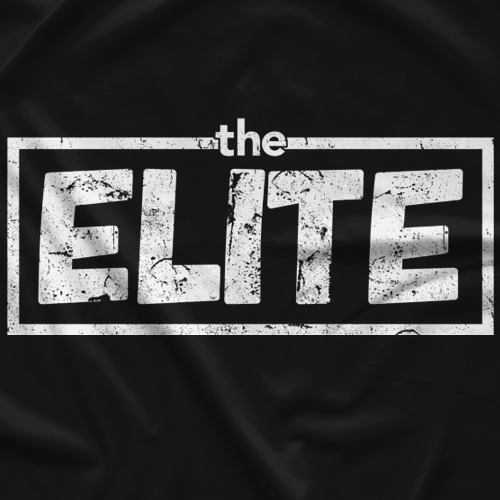 The Elite have all vowed they will move forward together and no matter what decision entails, they are about to shift the course of history in professional wrestling. That's the definition of Elite. As all eyes descend upon ROH Final Battle on FITE, live from New York City, history will be made. It takes a special class of athlete to end up building more momentum for herself after being injured than she may have had before she was hurt – and Becky Lynch was already the hottest performer in World Wrestling Entertainment leading into Survivor Series. Coming out of it, "The Man" has scorched everyone in her path with her Twitter game and resumed her appearances on Smackdown Live this week. In setting the stage for her Smackdown Women's Championship defense at the TLC PPV in San Jose, Lynch unpaused her violent feud with Charlotte Flair and pulled Asuka from the fringes back into a major attraction bout. Lynch is the sun by which every female star in Smackdown revolves and she still has her eye on Raw and Ronda Rousey. Her path to WrestleMania immortality is well on its way. When World Wrestling Entertainment devotes an entire hour of programming to you, it's a pretty good sign that they expect great things. 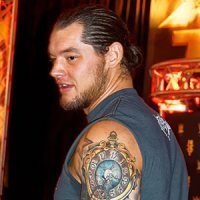 This week, Monday Night Raw, took great efforts to shine a spotlight on Baron Corbin. In his current role as the acting General Manager of the brand, Corbin was involved in promos, backstage vignettes and even wrestled in the main event, leading to the destruction of Finn Balor to close the show. All of this is designed to foreshadow the TLC pay-per-view match with Braun Strowman. With Braun recovering from elbow surgery, the impetus is on Corbin to draw the attention of the audience and be positioned for the monster to destroy. No matter how one rates this week's Raw from an entertainment perspective, Corbin was the defining figure in that episode – and likely will be in the weeks to come. That is enough to see him debut in strong position here in the FITE rankings. 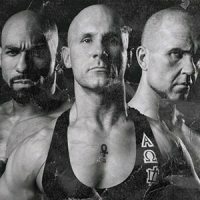 The So Cal Uncensored trio of grizzled veteran wizard Christopher Daniels, esteemed journeyman star Frankie Kazarian and charismatic breakout Scorpio Sky have truly found their groove in Ring of Honor. On this week's edition of ROH TV on FITE, the reigning ROH World Tag Team Champions laid down the gauntlet for the Briscoes and The Young Bucks to challenge them at Final Battle in a Ladder War. By invoking what is considered the most violent spectacle in ROH history, SCU has opened the door for what looks to be a near-guaranteed show stealer. As 2018 closes, SCU has made the ROH tag team division their own and that certainly cements them on the FITE rankings this week leading into Ring of Honor's final major event of the year. Two years is a long time for a professional fighter to be outside of his element, but during his time away from Mixed Martial Arts, Filthy Tom has emerged as one of the most talked about stars in Major League Wrestling. This week on MLW: FUSION here on FITE, Lawlor warred in a Chicago Street Fight against Sami Callihan, emerging beaten and bruised but victorious. 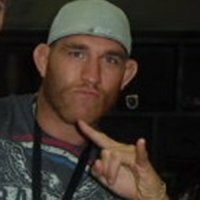 Lawlor then headed to the fight card for Liddell vs. Ortiz 3, fighting three hard rounds in MMA competition that saw him go the distance despite cringeworthy cuts under his eyes early on. While the judges' decision did not go to Lawlor, certainly the respect that comes with being a two-sport athlete in some of the most grueling environments imaginable is a great consolation prize. With MLW Champion Low Ki in his sights, Lawlor's ascent to greatness will continue. 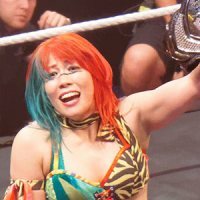 WWE fans have bemoaned the apparent unfortunate fate of Asuka for some time. "The Empress of Tomorrow" has, for an endless period, been relegated to the undercard of WWE events, despite intense fan popularity and an incredibly consistent level of performances in recent years. This week on Smackdown, Asuka shocked everyone with a big Battle Royal victory that saw her emerge as the third challenger for Becky Lynch's Smackdown Women's Championship. It was a moment of reckoning as much as it was a reminder that once again, no one is ready for Asuka. Where once fans were disenfranchised, now they are excited. That's a credit to Asuka's drive and work ethic. Where she goes from here will be a joy to observe. Injuries may have forced Alexa Bliss out of the ring for an extended period, but her innate ability to draw fans into Bliss' twisted web. Appointed to oversee the women's division as her new storyline chapter, Bliss is now in a new position to antagonize all the babyface heroes on Monday Night Raw. While that new role enhances fans' expectations of what Bliss will be doing in front of the camera, social media exploded with speculation about Bliss training for a return when she posted photos from WWE's Performance Center in Orlando. Bliss has everyone wondering about her – and everyone watching. That's how one plays the pro wrestling game successfully. Another week, another successful step towards bringing the National Wrestling Alliance back to levels it hasn't been seen at in many, many years. At Wrestlecade over the weekend in North Carolina, viewers on FITE watched as Aldis carried the NWA Worlds Heavyweight Championship into the ring, successfully retaining it in an excellent match against former WWE star Jack Swagger. In bringing Swagger to one of his best in-ring performances in years, Aldis notches another victory on his belt and steps forward with a greater swagger as he heads for his next title defense. As she prepares for her shot at the Impact Wrestling Knockouts Champion Tessa Blanchard this January on FITE during Homecoming in Nashville, TN, Taya Valkyrie put on a hell of a show with a No DQ Street Fight against Penelope Ford at Wrestlecade. A live audience on FITE saw Taya and the rising upstart brawl all over Winston-Salem, NC before Valkyrie scored the victory. As Taya continues to blaze a path of destruction, her star rises – and it's one that should never be discounted. Mike Johnson is the lead reporter for PWInsider.com and has been writing about professional wrestling since 1996. He can be found on Twitter @MikePWInsider and MikeJohnsonWrites.com.